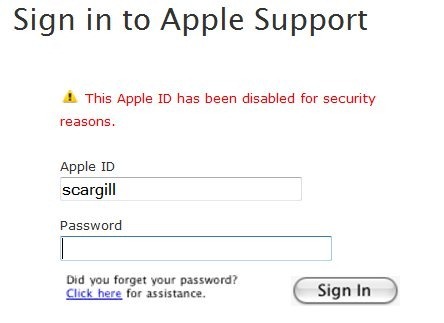 A word of warning for those needing help with their iPAD or iPhone… they are great products but it appears that Apple support is as crappy as Orange and other large organisations. There’s an ongoing minor issue with the iPAD wireless in that it tends not to pick the best signal where multiple signals are available. I have 5 WIFI points in my house in England as the walls are solid stone – and the iPAD invariably picks the wrong signal and stays with it, requiring me to manually select an access point. I thought as bought the unit in the US and am currently there for a short while, I’d ask them when they’re going to fix this – they’re a little behind on this (as is Skype with their OS4 fix -at this rate they’ll be the LAST app to update).. NO Chance, there is no email address on their site and the only way you can start the process is to give them your Apple ID. This is what happened when I entered my Apple ID. Did I expect any less? No. Today I will ring the store!